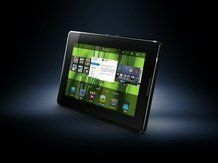 Keen to continue the buzz surrounding the BlackBerry Playbook, RIM has released a new video showing off the tablet's web browsing capabilities. If you dream of a tablet that can browse the web like a desktop computer, then you're in for a treat. The PlayBook's web video playback looks pretty good – the clip shows both an embedded video and a YouTube video playing flawlessly, presumably over Wi-Fi given 3G can only be accessed using a standalone BlackBerry phone companion. The new video then goes on, as we all inevitably do, to Facebook. The tablet offers the full desktop version of the site with no compromises, as RIM is keen to point out. Everything seems to work perfectly, including Facebook Chat and Flash games which can be played while chats and notifications run in the background. The videos come hot on the heels of rumours of poor battery life on the long-awaited tablet; rumours that RIM was quick to dispel. It's all well and good to keep releasing video after video, but sooner or later RIM will have to actually release a product – will we see more of the PlayBook at CES? With a first quarter release date scheduled, we'll be keeping our eyes peeled.